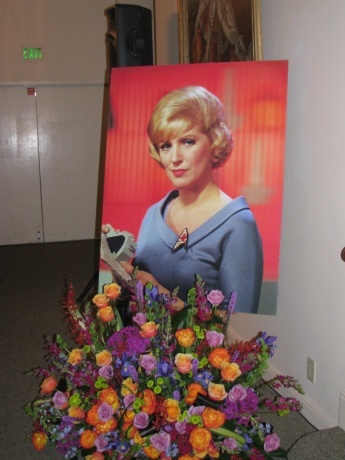 The memorial for Majel Barrett Roddenberry was held on Sunday. TrekMovie.com has a full report. With Bill Richardson declining to submit to the nominations process for commerce secretary, how about John Kerry for that job? He wanted secretary of state, and reportedly was devastated with Barack Obama turned to Hillary Clinton. He’s a member of the Senate Commerce Committee, and familiar with the issues. You’d think Obama owes Kerry something, since it was Kerry’s selection of Obama to give the keynote speech at the 2004 Democratic National Convention that vaulted Obama onto the national stage. And, the chances of the Democrats losing a Senate seat from Massachusetts are almost nil. Kerry for commerce. It seems like a natural. Kerry would certainly be an excellent consideration for the post. Back in 2004 I felt that the Kerry campaign was making a mistake in not bringing up this aspect of Kerry’s experience, along with his strong history of support for small business. While Kerry would be an excellent choice, I wonder if he would be interested. My bet is that he’d be happier in his new post as Chairman of the Senate Foreign Relations Committee. Plus with Hillary Clinton as Secretary of State, I also feel safer having Kerry in the Senate, along with many who are already wary of Clinton in the White House, to limit the damage Hillary Clinton might do. Sunday was a good day for Al Franken as the state election board told CNN they were prepared to certify that Franken has won the recount for the Senate seat by a margin of 255 votes. Sunday was also a good day for Tim Kaine, who has been picked to head the DNC. In addition to Norm Coleman, who is still expected to challenge the loss of his Senate seat in the courts, Sunday was also a bad day for Bill Richardson, who has withdrawn his nomination to be Secretary of Commerce as a grand jury investigates donors who won a lucrative state contract.